Sarah’s research interests lie in the application of Geographical Information Systems (GIS) and Remote Sensing (RS) to the study of tropical coastal systems (coral reefs, mangroves, seagrasses). In particular, Sarah is interested in the development of models to further understand structural and functional aspects of coastlines at the landscape scale. Sarah has worked in Fiji, Thailand, the Philippines, the Seychelles, Saudi Arabia, Egypt and Belize. She has carried out remote sensing projects on tropical marine ecosystems for several organisations, including: the Australian Museum, the Lizard Island Reef Research Foundation, the Fijian Ministry of Tourism, the Department of Environment and Natural Resources, Republic of the Philippines, the United Nations Environment Programme, the British Foreign and Commonwealth Office, the Seychelles Islands Foundation and the Living Oceans Foundation. 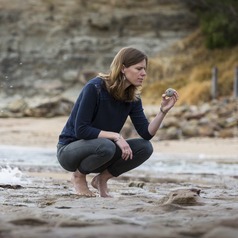 Having completed a PhD at the University of Cambridge, UK entitled “Modelling the Structure and Function of Tropical Marine Communities at the Landscape Scale”, Sarah is now applying her modelling techniques to Australian reef systems.